How is the Australian mining sector leading the world in efficiency innovations? When it comes to the impact of mining in Australia, the general public is somewhat conflicted. A 2014 CSIRO survey – Australian attitudes toward mining – asked respondents to rank their feelings regarding various statements on a scale from completely disagree (1) to completely agree (7). While the sentiment that mining is a key part of Australia was ranked at 5.08 out of 7, the opinion that it is harmful to the environment followed closely with 4.7 out of 7. There is good news for those concerned with the industry's impact on the natural world; investment in new technologies at mines across the country are paying dividends towards improving efficiency and mitigating harmful environmental effects. While Australia is one of the leading countries in mining worldwide, it has taken a prominent place when it comes to technology for the sector as well. According to BMI research reported in Mining Weekly, the mining services and technology industry has reached a market size of $90 billion. Australian companies produce 60 per cent of the mining software solutions used worldwide. Additionally, 60 per cent of the mining software solutions in use around the world is Australian made, signalling the industry's position leading technological investment on a global scale. Industry giants Rio Tinto and Fortescue Metals Group (FMG) are among the more than 100 Western Australia-based companies helping to contribute to this wave of innovation. Perhaps one of the most significant advances in mining technology, one being pursued by both Rio Tinto and FMG, is the implementation of driverless trucks on site – an innovation that has led to productivity and safety benefits, as well as other carry-over effects. At its sites in the Pilbara, Rio Tinto now features 69 autonomous trucks used for moving ore as part of the company's Mine of the Future program. This autonomous haulage system (AHS) ensures that mines run more productively, as materials are moved with safety and efficiency. Given the program's success thus far, Rio Tinto plans on increasing its driverless fleet in the future. Autonomous trucks are already hauling ore in the Pilbara. Meanwhile, over at FMG's Solomon mine, a multi-year partnership with Caterpillar has helped deliver a fleet of driverless Hauling Cat 793F CMD trucks, which are able to navigate the site without any active human input. Whit these trucks' initial success, FMG and Caterpillar are working together to bring the autonomous fleet's number up to 45 vehicles. One of the other potential advantages of the switch to driverless trucks in Australia's mines has close ties to environmental concerns, particularly with greenhouse gas emissions. These self-driving vehicles may play a role in boosting fuel efficiency and improving air quality over the long run. 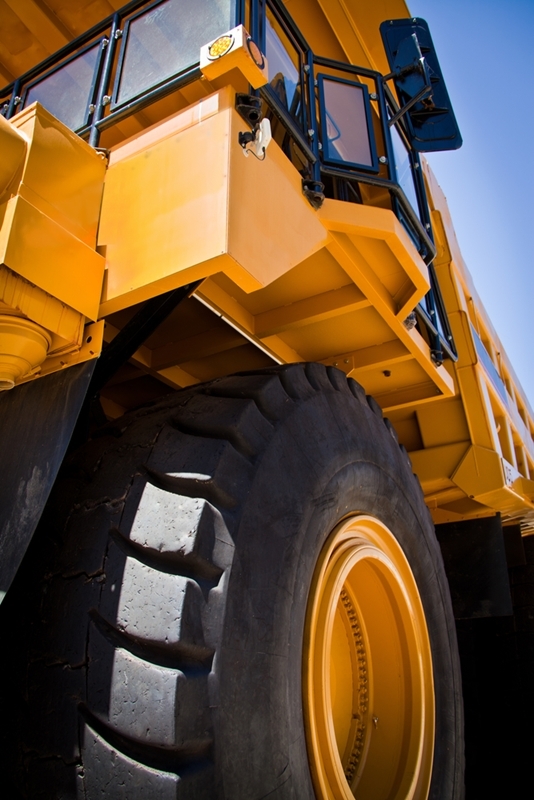 A switch to autonomous trucks on mine sites can lead to a reduction in harmful emissions. A 2015 study from Berkeley Lab investigated the potential connection between autonomous vehicles and fuel efficiency, particularly in taxi fleets – known for their extended driving times. Researchers simulated the emissions of varying car types based on fuel source and estimated economy in the future. Results of the experiments showed that a self-driving, electric vehicle in 2030 would have 63 to 82 per cent lower harmful emissions than a non-autonomous hybrid driven in the same year. Furthermore, the same driverless car in 2030 would have a 90 per cent higher fuel economy than a petrol-powered car in 2014. Given the sheer number of kilometres trucks can drive on a mine site, it is likely that the switch to autonomy would lead to similar emissions reductions. As global industry leaders, Australian mining companies need to know that they and their equipment are in good hands. For everything from new purchases to mining equipment repairs, SRO Technology is ready to help. To learn more about our field services and other areas of expertise, get in touch with us today. Technology is driving the mining industry of the future Komatsu, GE to bring Internet of Things to Australian mines Australian bauxite industry to remain strong in near future What’s in store for the Australian mining sector?